Roscoe Robinson was born in 1928 in either Dumont, Alabama or Dermott, Arkansas (I've seen it listed both ways). In any event, his family (like so many others) moved north to find work, and had settled in Gary, Indiana by the late thirties. 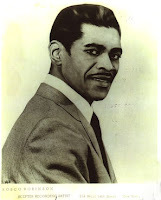 Roscoe's vocal talents were evident early on and, by the time he was fourteen, he had begun singing with local 'quartet-style' Gospel groups, much like his close friend Sam Cooke. 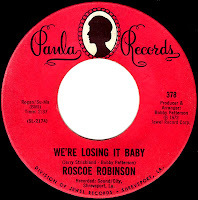 (For the scoop on Robinson's storied Gospel career, please be sure to visit holy ghost, where I've attempted to outline it in detail...) By the early sixties, Roscoe had been essentially shut out of the Gospel field, and was having trouble finding work. He decided to try and 'cross-over' and recorded a one-off single for the Tuff label, a New York concern that was distributed by Chess. The record, What Makes A Man Do Wrong, didn't do much, and Roscoe decided to take matters into his own hands. Reportedly pawning his Cadillac, he started up his own record company, and named it after his wife, Gerri. 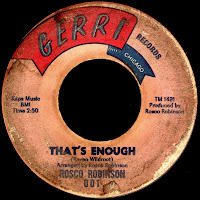 Drawing on the wealth of experience he had accumulated in over twenty years out on the 'Gospel Highway', he arranged and produced a song written by Raven Wildroot called That's Enough, and released it as Gerri 001 in late 1965. 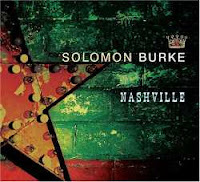 Backed with the deep Ivan Thompson ballad, One More Time, the record couldn't miss. 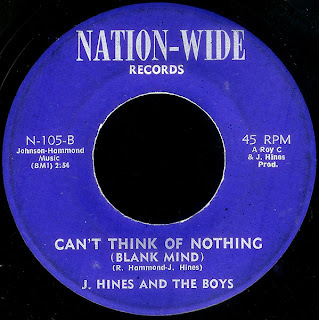 When it started to make some noise locally, Chicago record distributor Ernie Leaner got interested and, after lending Robinson the money to get his car out of hock, shopped it around to some major labels. It was picked up by Wand in New York, who agreed to allow Leaner to handle distribution in the midwest. 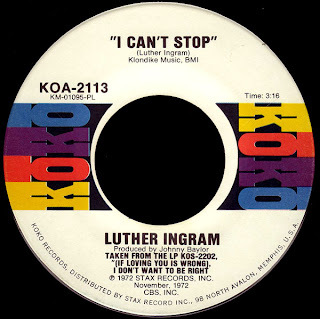 Released as Wand 1125 in the summer of 1966, this bouncy uptown soul number spent thirteen weeks on the R&B charts, climbing as high as #7. 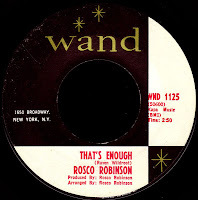 The follow-up (Wand 1143) was another great two-sider, How Much Pressure (Do You Think I Can Stand) backed with Do It Right Now, which were both written by Robinson as well. 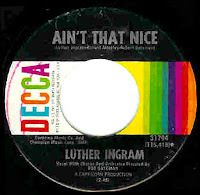 Both songs hit the R&B top 40 on their own in successive weeks in December 1966. His next few Wand releases failed to chart, however, and after a disagreement with the company over management issues, he walked away the following year. 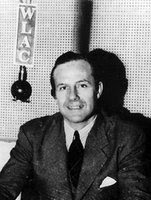 His next stop was Nashville, where he would hook up with the legendary John R, the influential WLAC disc jockey that was the head of production for the Sound Stage 7 label. Roscoe became a part of the team at 'J.R. Enterprises, Inc.', and "was helping producing and arranging and putting it all together." Excellent records like One Bodillion Years and Fox Hunting On The Weekend kept him in the public eye down South, and he was getting plenty of work, but the records couldn't dent the national charts. Today's positively AWESOME B side (the flip of Why Must it End) was recorded down in Memphis in 1968 with the 'American Studio Group' (aka The Memphis Boys) just cranking it out. I'm not sure if that's Tommy Cogbill or Mike Leech playing that bass, but, man! The punchy horn lines by Nashville stalwart Bergen White along with those high energy female vocals combine to make this one of my favorite of Roscoe's records. 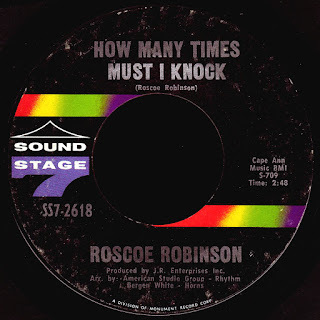 After his next Sound Stage 7 single (the great I'm Burning and Yearning (For You)) tanked in early 1969, Roscoe decided it was time to move on. “John Richbourg was like a daddy,” Robinson told David Cole a few years ago, “I loved him. He was good for getting a lot of folks’ careers going. But Sound Stage 7 had a star already, Joe Simon..." Ultimately, he said, John's radio show was no longer enough to break his records nationally, and there just wasn't much promotion beyond that. It was once again time to take matters into his own hands, and he re-activated his Gerri label. After releasing the ultra-collectable Don't Forget The Soldiers (Fighting in Vietnam) (Gerri 002), he got together with another legendary southern dee-jay, Ed 'Doctor Jive' Mendel. Mendel asked him to go into the studio and cut something, and he came back with a cover of Fred Hughes' Oo Wee Baby, I Love You that he had pressed up on Gerri. When Doctor Jive started to spin the record on the air, his phones lit up, and he knew they had a hit. 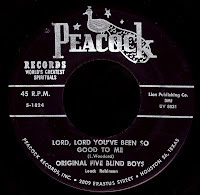 He was able to place it with Atlantic, and it climbed to #42 R&B in the summer of 1969. 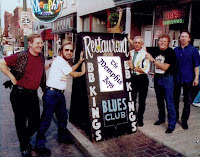 Somewhere around in here, Roscoe began hanging out at Sound Of Birmingham, Neal Hemphill's Alabama studio, where he worked with people like Frederick Knight, Jerry Weaver, Sam Dees and his Black Haze Express (pictured at left), and the elusive Cold Grits. The two unreleased Roscoe Robinson tracks that have come to light on John Ciba's excellent The Birmingham Sound compilation are simply amazing. If you don't have it, get it. After so many years around the business, Roscoe knew just about everybody, and he got together with his old friends Harrison Calloway and Aaron Varnell down in Muscle Shoals in 1970. 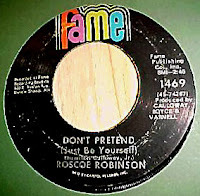 The record they produced with The Fame Gang, Don't Pretend (Just Be Yourself) (Fame 1469) is simply top shelf stuff, and one of the most sought after of all the Fame 45s, routinely going for serious cash when it shows up on eBay. Apparently not content until he recorded in every studio in the south, Roscoe next headed for Stan Lewis' Sound City out in Shreveport, Louisiana (for more on the great records he made out there, please check out The A Side). 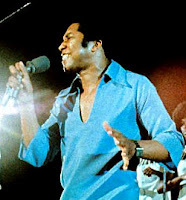 By 1972, Robinson made the decision to 'cross back over' into Gospel music, where he, for the most part, still remains today (as I mentioned above, his Gospel side is covered at length over at holy ghost). 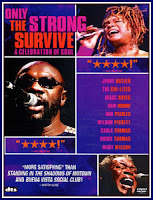 More recently, that same album was re-issued under the title So Called Friends in 2004, and Roscoe has his Gerri label up and running again with a 2005 release, The Gospel Stroll. 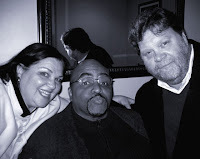 He performed with Ralph 'Soul' Jackson at two shows last year that helped celebrate the release of the Sound Of Birmingham CD (a decidedly low-fi video of the Birmingham show is up on You Tube). How Many Times Must He Knock? In 1943, a Houston sax player named Illinois Jacquet played a wailin' solo on a Lionel Hampton record called Flying Home. It would climb to #3 on the 'race record' charts, and is considered by some to be the first rock & roll record. That honkin' and hollerin' vamp would spawn a whole generation of 'bar-walking' Texas sax players, and the joint was jumpin'. Growing up outside of Dallas, two young kids were paying attention. Coming up out of their respective High School Bands, Grady Gaines would go on to lead Little Richard's fabled Upsetters, while a young Curtis Ousley took off for New York. 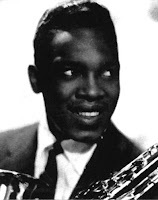 Ousley landed a job in the band of Sam 'The Man' Taylor, who had been instrumental in creating Atlantic Records trademark sound with his elemental saxophone work on early R&B sides by Ruth Brown and Joe Turner. 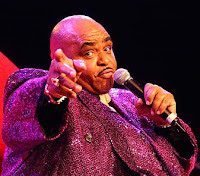 Curtis would continue that tradition, becoming their new 'go-to guy', laying down those stammerin', stutterin' solos on big hits by The Coasters, Chuck Willis and Clyde McPhatter. 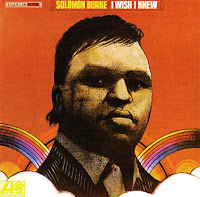 His own ATCO sides from this period (recorded under the stage name he'd been using since high school, King Curtis), went nowhere, as did an album called Have Tenor Sax Will Blow. By 1960, he had signed with Prestige, and was exploring his Jazz roots together with great side-men like Nat Adderley and Wynton Kelly. 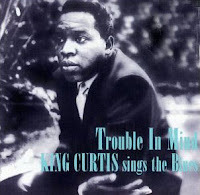 In addition to continuing his session work for small labels like Wand/Scepter (think The Shirelles), he would also release a cool album called Trouble In Mind in 1961, on which he actually sings the blues! Ousley formed a band around this time called The Noble Knights, that played locally in New York. 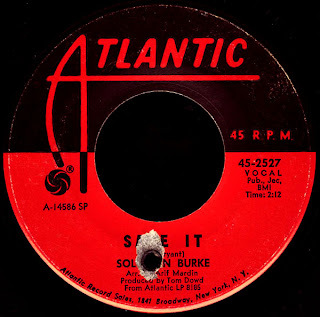 As we've mentioned before, Bobby Robinson heard them playing at Small's Paradise up in Harlem and bet Curtis he could deliver him a hit record if he let him produce it his way. According to Bobby, that way included a 'less is more' approach that gave the rest of the Knights a chance to stretch out a little bit. 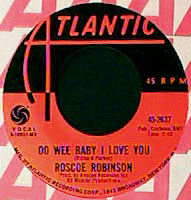 Soul Twist would become the first release on Robinson's Enjoy imprint, and a massive hit, topping the R&B charts for two weeks in early 1962. 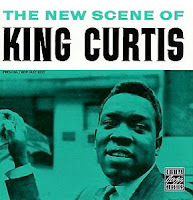 King Curtis set about forming a crack touring band that he would dub The Kingpins at this point, bringing in great musicians like fellow Texan Cornell Dupree on guitar. 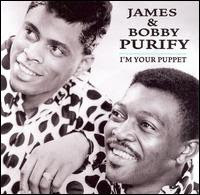 When Little Richard 'got religion' in 1957, Grady Gaines' Upsetters had gone to work for Little Willie John. 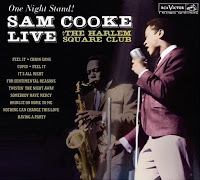 After that arrangement fell apart in early 1962, Sam Cooke hired them to go out on the road with him. They would share the bill with King Curtis many times that spring, and Sam couldn't help but notice how tight The Kingpins were. 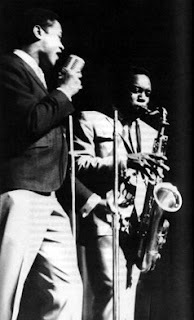 Cooke began bugging him about replacing Gaines as his back-up band, but Curtis kept telling him to forget about it, that they were making too much money as freelance studio musicians in New York. Cooke persisted, going so far as to 'name check' Soul Twist in his top five smash Having A Party that summer. 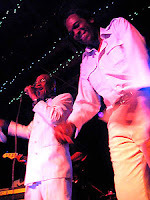 After ego problems between Sam and certain members of The Upsetters came to a head, Curtis gave in and consented to go out on tour with Cooke in January of 1963. Lucky for us, RCA recorded a show from that tour down in Miami at a chitlin' circuit joint called The Harlem Square Club. 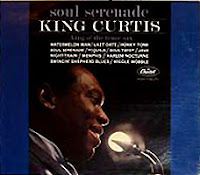 The resulting album has recently been remastered, and captures both Sam and Curtis at the height of their game. You should own a copy. 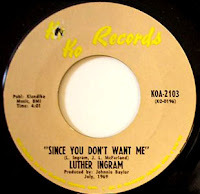 The King signed with Capitol around this time, but his singles failed to even dent the charts. An album called Country Soul didn't make much noise either. 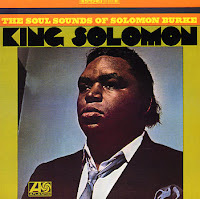 His second album for the label, Soul Serenade, is an out of print gem. 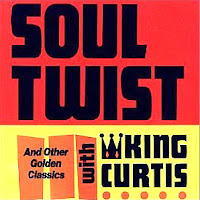 Even though the title track (written by Curtis and Shirelles producer Luther Dixon) barely made it to #51 R&B in early 1964, it has become one of King Curtis' most enduring songs (...helped in part, I'm sure, by the great version that Willie Mitchell took to the R&B top ten in 1968). 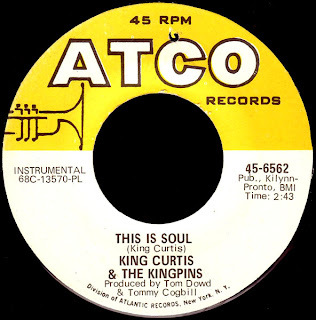 By late 1965, King Curtis was back with Atlantic Records, where he would once again become a pivotal part of their sound throughout the 'soul era' at the label. One of the first projects he was involved in was as a producer. 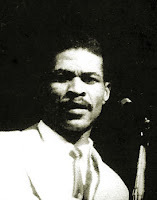 Ray Sharpe, a guitarist friend from his Fort Worth days, had had a minor hit in 1959 with a song called Linda Lu. 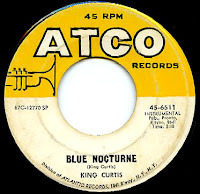 Curtis brought him to ATCO, and the 1966 single Help Me (Get The Feeling) is credited to Ray Sharpe With the King Curtis Orchestra. That 'orchestra' included a young Jimi Hendrix. Although the record tanked, the hot backing track would turn up later on (more on that in a minute). His driving sax would help propel Herbie Mann's Philly Dog into the R&B top 40 later that year. His work in the studio brought him in contact with a largely ignored staff arranger named Arif Mardin, a Turk that Nesuhi Ertegun had hired and then promptly forgotten about. It was Curtis who brought Mardin's considerable talents to the attention of Jerry Wexler in 1966. 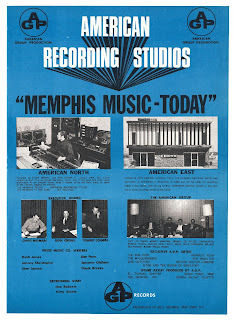 As you may recall, when Aretha's Muscle Shoals sessions went south in early 1967, Wexler brought the Fame musicians north, ostensibly to record an album called King Curtis Plays The Great Memphis Hits. Once that was finished, Wexler hunkered down with Curtis, Mardin and Tom Dowd to help him finish Aretha's historic album. 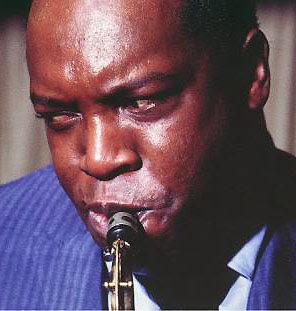 King Curtis was all over it, recycling the Ray Sharpe track from the year before which, with the addition of some new horn charts and lyrics penned by Aretha's sister Carolyn, would become the cookin' Save Me. 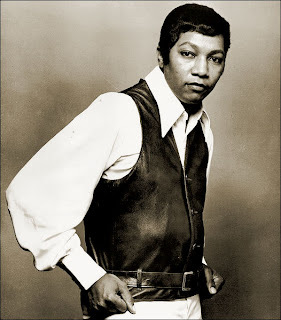 When the crew in the studio was stuck trying to formulate a bridge to round out Otis Redding's Respect, it was Curtis who came up with the idea of using the bridge section from When Something Is Wrong With My Baby, which he had just recorded for the Memphis Hits album. According to Mardin, "Respect is in C, but that bridge, Curtis' saxophone solo, is in F Sharp - a totally unrelated key, but we liked it! We liked those chords, so we put it in." If that solo was the only thing he ever did, that would be enough for me, man! Mardin and Ousley became pretty much inseparable from that point on, and worked together on sessions both in New York and Memphis. 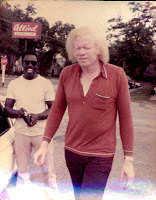 They recorded the classic Memphis Soul Stew at Chips Moman's American Studios in July of 1967. Today's cool B side (the flip of Theme From the Valley Of The Dolls) was recorded down there that December and, in addition to the usual Memphis Boys, includes the very cool Bobby Womack (an American regular himself by then) on guitar. It's got this kind of Sanford & Son thing goin' on, right? Great stuff. 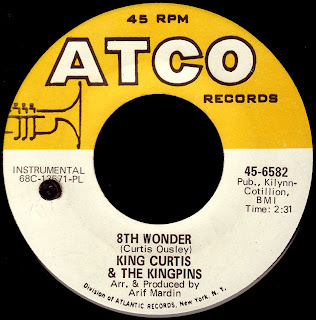 As the only African American member of the 'inner circle' of producers and arrangers at Atlantic, King Curtis had earned his stripes by consistently adding his own brand of genius to countless sessions over the years. As the decade drew to a close, his own albums like Instant Groove (on which he would use the Ray Sharpe track once again as the basis for the title cut) and Get Ready took their place alongside Atlantic's new roster of artists like Eric Clapton, Delaney & Bonnie and The Allman Brothers Band, all of whom revered him. 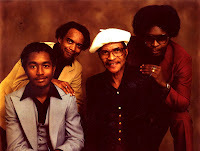 By 1970, the touring line-up of The Kingpins had solidified, and in addition to Dupree on guitar, included the legendary Bernard 'Pretty' Purdie on drums, Jerry Jemmott on bass, and Truman Thomas on the keys. Jerry Wexler convinced Aretha Franklin to use them as her back-up band, and booked the whole lot of them into the Fillmore West in February of 1971. The addition of the Memphis Horns and Billy Preston on the Hammond organ made for one kickin' band, let me tell ya. The concerts were taped, and spawned two incredible live albums, the aptly titled Aretha Live At Fillmore West and King Curtis Live At Fillmore West. Check 'em out! 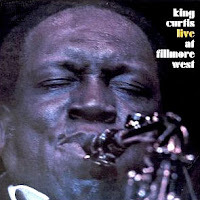 Curtis had become a top-notch producer by then, and had worked on great albums by Roberta Flack, Donnie Hathaway and old Texas pal Freddie King. 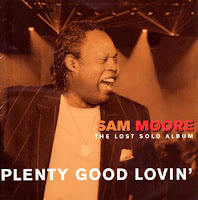 In the wake of the Fillmore gigs, he became Aretha's musical director, and was producing a long-awaited solo album on Sam Moore. 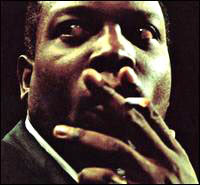 On August 13th 1971, King Curtis was carrying an air conditioner into his apartment on West 86th Street in Manhattan. Two junkies were sitting on the steps, blocking his way. When he asked them to move, one of them stabbed him in the heart. He was taken to nearby Roosevelt Hospital, but there was nothing they could do. Atlantic Records closed down their offices on the day of his funeral. Jerry Wexler delivered his eulogy, calling him a "sensitive virtuoso." 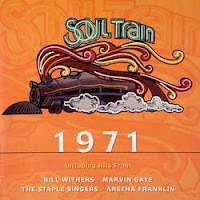 Aretha Franklin sang the haunting Never Grow Old. He was buried in a cemetery out on Long Island. Years later, Aretha had this to say to author Gerri Hirshey; "King Curtis could make me laugh so hard... he was a soul superhero, and I miss him still."